Sometimes a light breakfast isn’t enough when you’re really hungry in the morning. 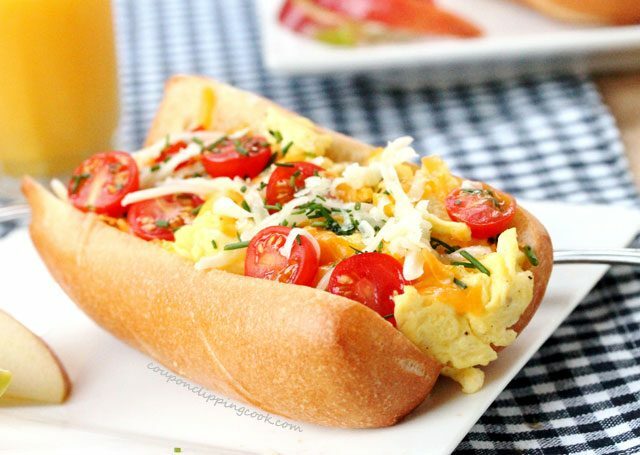 This breakfast sandwich made with a french roll, and filled with scrambled eggs, cheese and tomatoes is hearty but light enough so it’s not too filling. 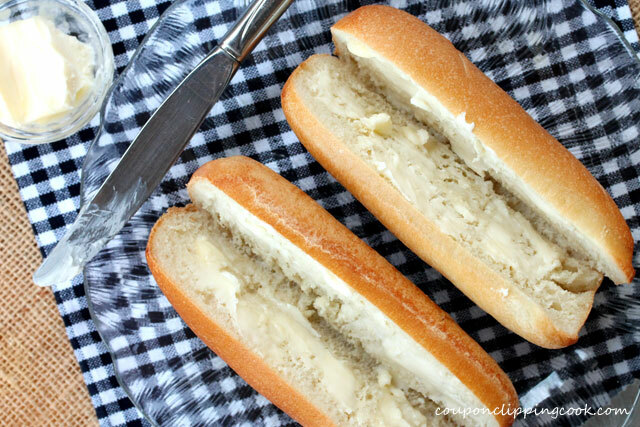 One of my favorite flavors in this sandwich is the light taste of garlic that’s toasted with butter on the roll. 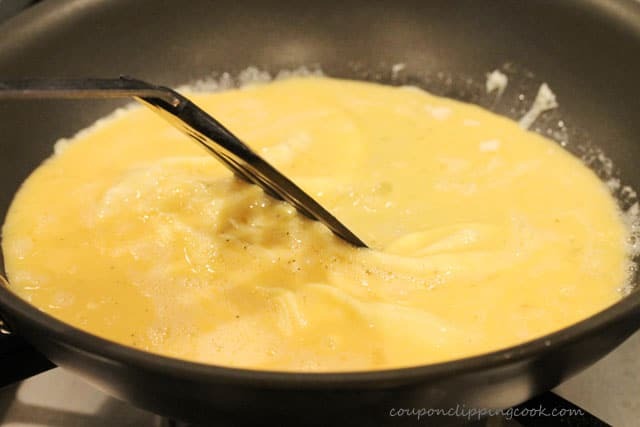 It’s crazy that a taste of garlic would be so good in the morning but it’s delicious when combined with the eggs and cheese. 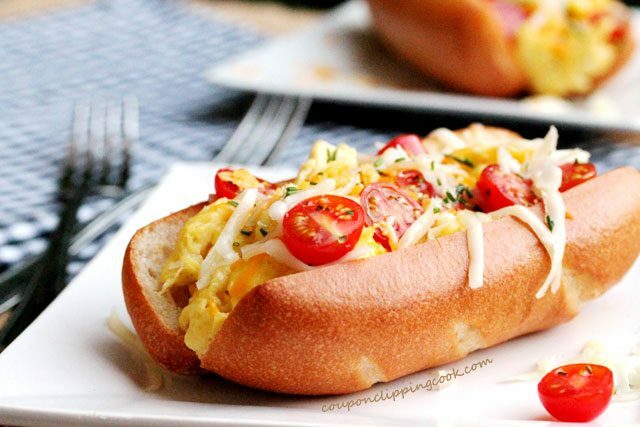 The fun part about this sandwich is that you can customize the toppings to include those that you may have inside an omelet such as chopped ham, sautéed onion and bell peppers, or sautéed mushrooms. 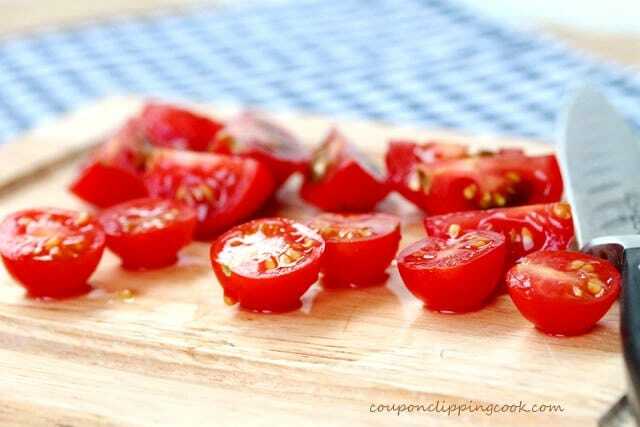 Or how about topping it with chili…that sounds so good. 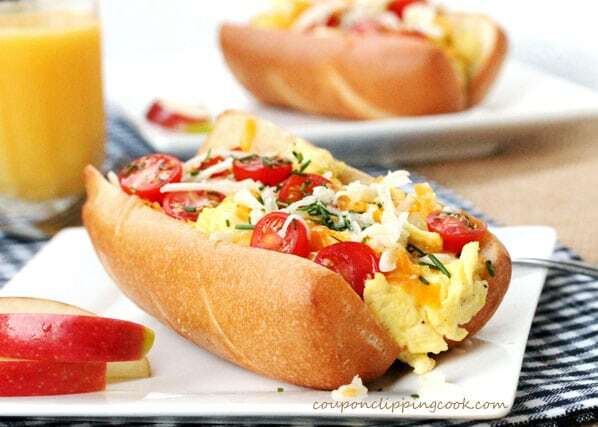 Here are some more breakfast recipes with cheese and scrambled eggs you may like “Breakfast Burrito Pitas“, “Bacon and Egg Breakfast Soft Tacos” and “Breakfast Chili Chilaquiles“. …set aside for a moment. Heat a medium size skillet on low to medium heat. 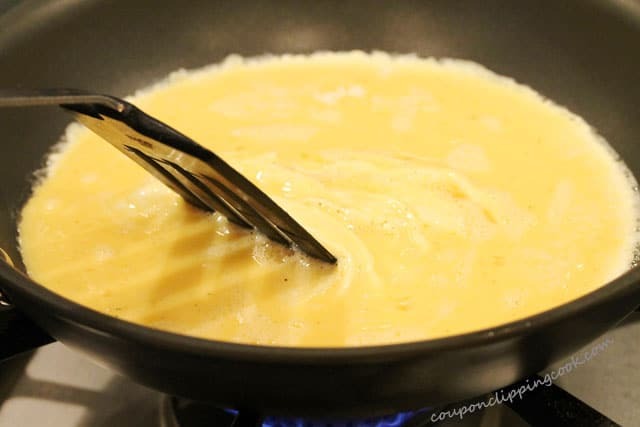 Add butter and spread it around the pan with a spatula. 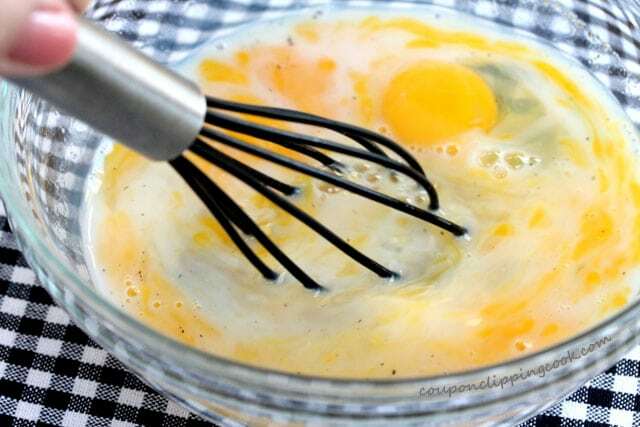 Add the egg mixture and stir as the eggs cook. 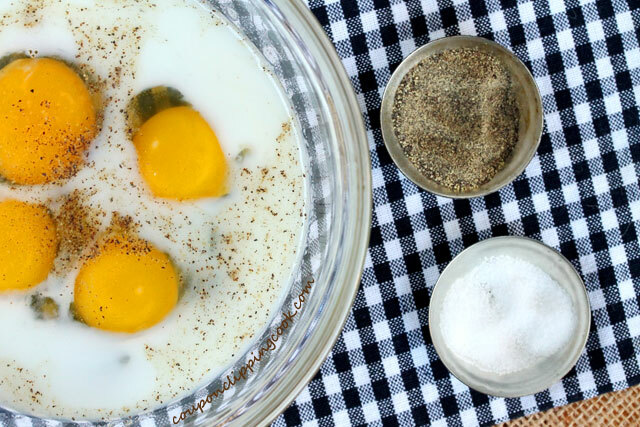 Cook the eggs until light, fluffy and thoroughly cooked. 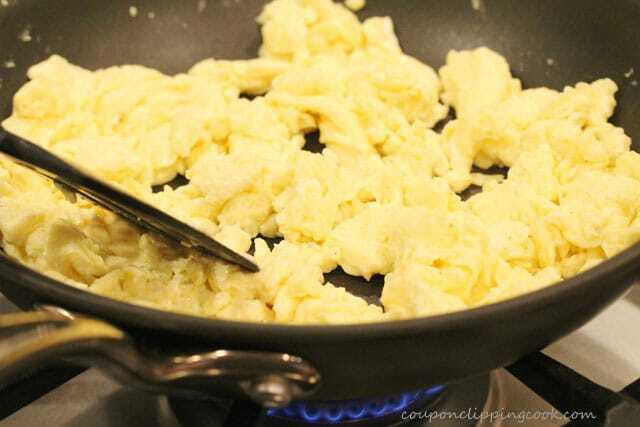 Remove the pan (with the eggs in it) from the heat and aside for a moment. Cut the rolls in half lengthwise stopping about 1 inch from the bottom of the roll. 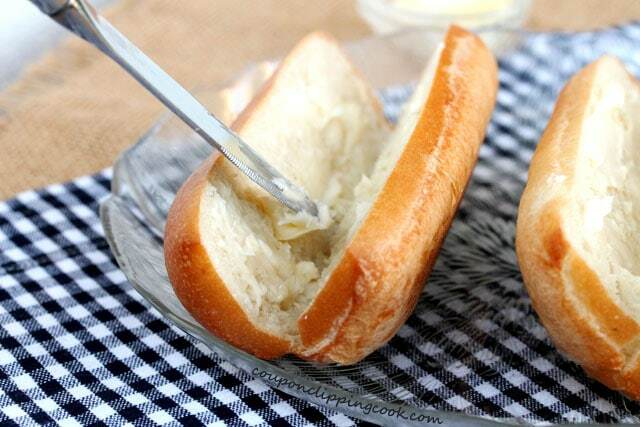 …and spread butter inside the rolls. 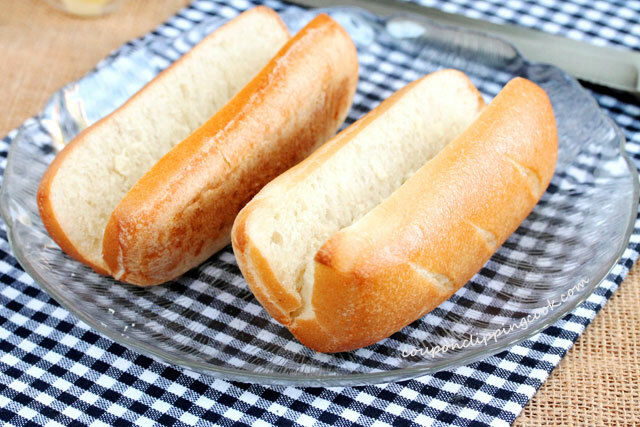 Sprinkle granulated garlic on top of the butter and lightly toast the rolls in a toaster oven. 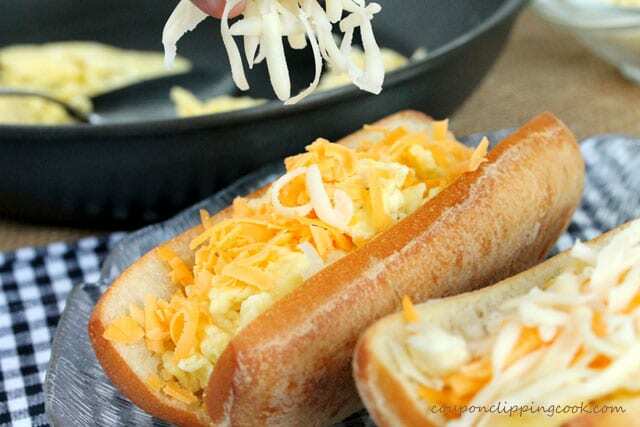 Fill the warm rolls with scrambled eggs, and top with shredded cheese. Put the sandwich in the microwave for a quick moment to just melt the cheese (5 to 7 seconds depending on your microwave). 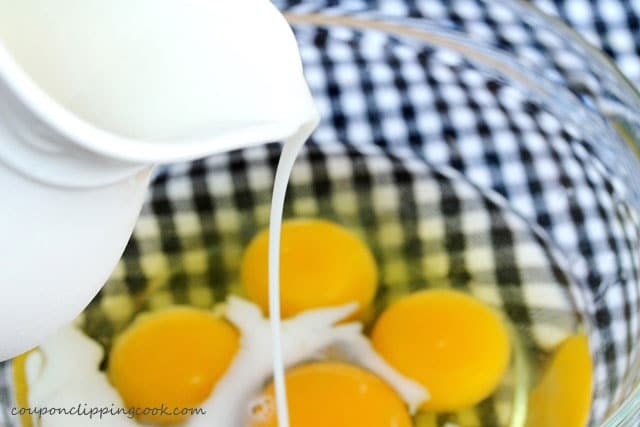 In a small bowl, add the eggs, milk, salt and pepper. Whisk the together and set aside for a moment. 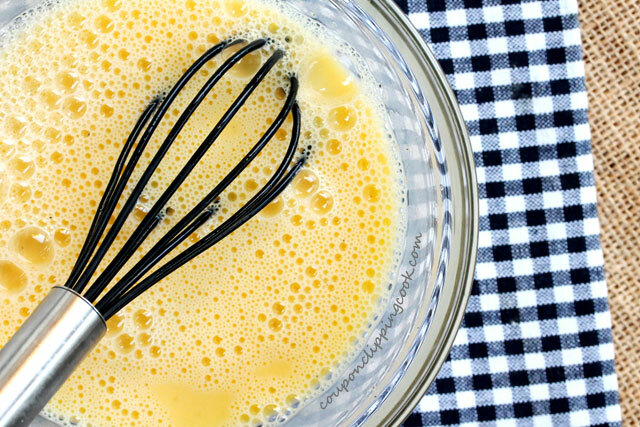 Add the egg mixture and stir as it cooks. 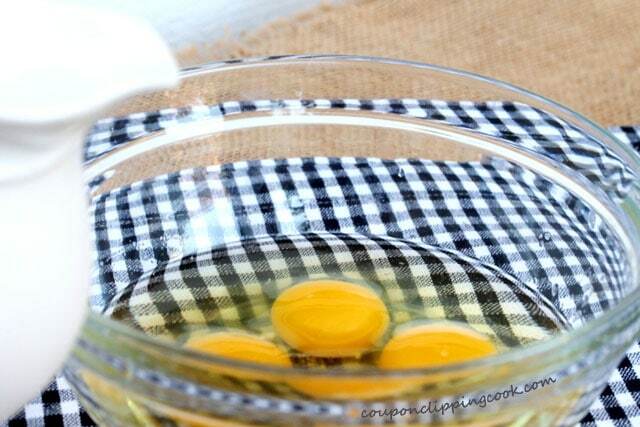 Cook the eggs until light, fluffy and thoroughly cooked. Set aside for a moment. Cut the rolls in half lengthwise stopping about 1 inch from the bottom of the roll. 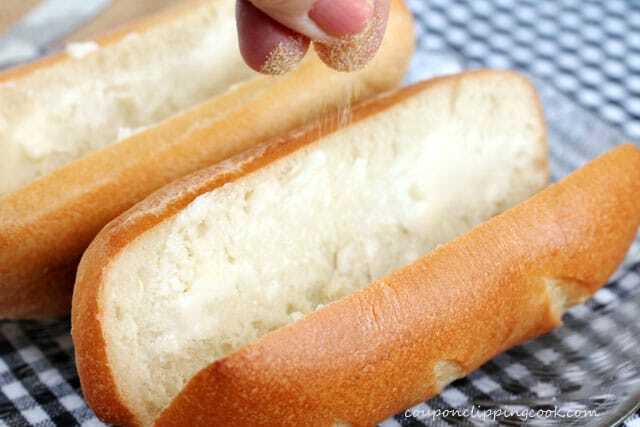 Gently open the rolls slightly and spread the butter inside. 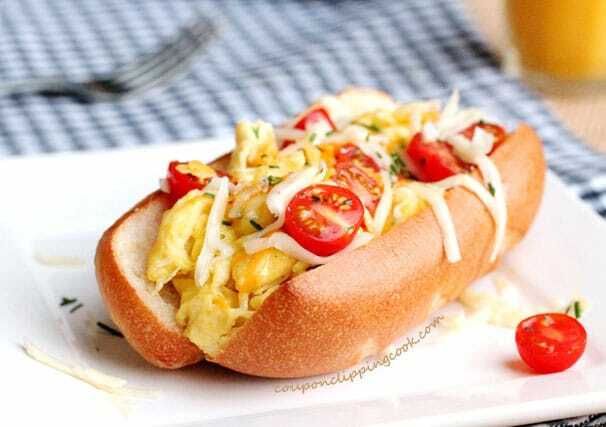 Fill the warm rolls with scrambled eggs, and top with shredded cheese. 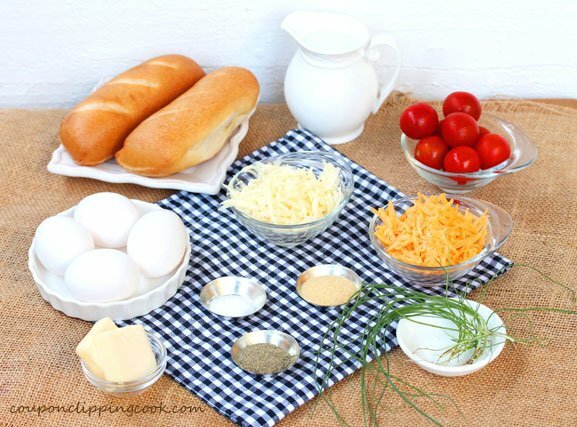 Put the sandwich in the microwave for a quick moment just to melt the cheese (5 to 7 seconds depending on your microwave). 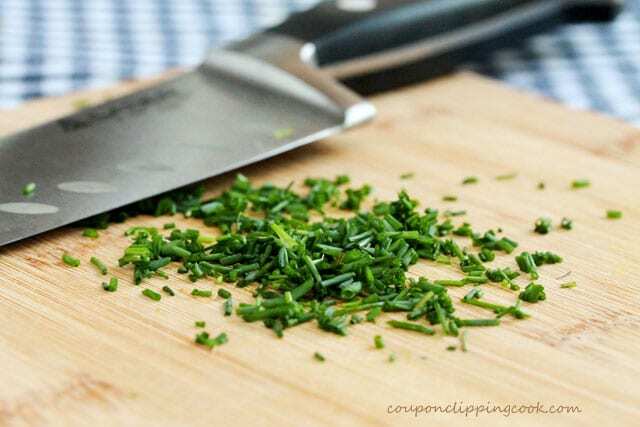 Top the sandwich with tomatoes and garnish with chives. Serve while warm. This is definitely breakfast done right! Hi Chung-Ah, thank you so much for stopping by!